March sees the return of the Ocean Film Festival World Tour return to Australia. The Ocean Film Festival World Tour will screen over 2 hours of the most inspirational, educational and entertaining films related to the ocean from independent film makers both international and Australian. It includes a unique selection of films of varying lengths and styles covering topics such as the oceanic environment, marine creatures, ocean related sports, coastal cultures and ocean lovers. PADI is a great supporter of the Ocean Film Festival and is proud to be a 2018 sponsor. 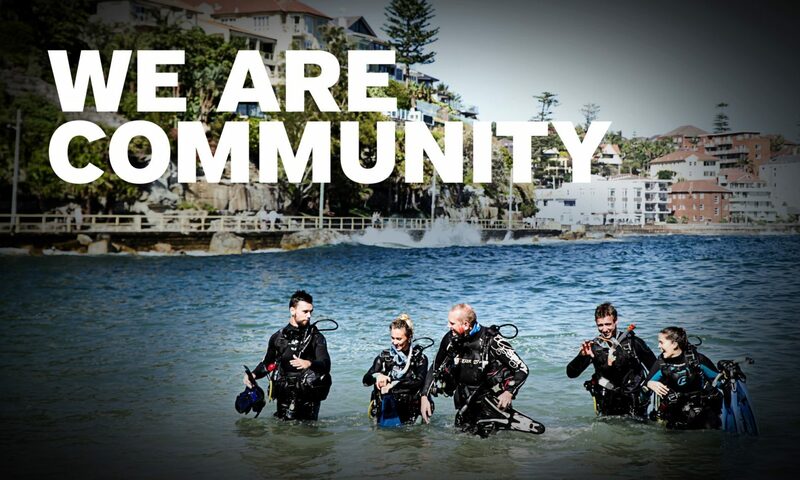 PADI Members will be present at the following screenings taking place across Australia this March. Come along to a screening and chat to a PADI Professional about PADI certification, scuba diving and protecting our oceans. Project Aware is the Ocean Film Festivals proud Conservation Partner. Project AWARE® is a global movement for ocean protection powered by a community of adventurers. If you’re a certified diver, you can collect and report important data. Through Project AWARE’s Dive Against Debris, remove marine debris on your dive and report the results. Together we make the ocean safer for marine life, and more importantly, information you report helps inform policy change. With your help, Project AWARE can use the information you report through Dive Against Debris to convince individuals, governments and businesses to act against marine debris. There are a limited number of tickets available for each screening so be sure to get your tickets for the Ocean Film Festival before they sell out.